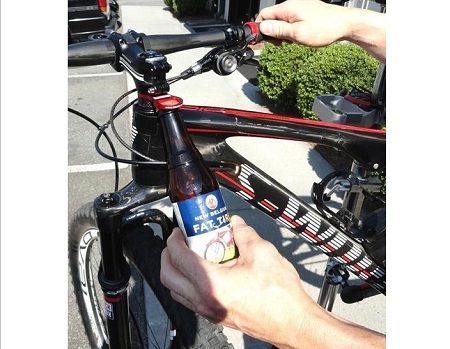 Tired of looking around for a bottle opener after a long hard ride? Do you like to beat your friends at EVERYTHING??? 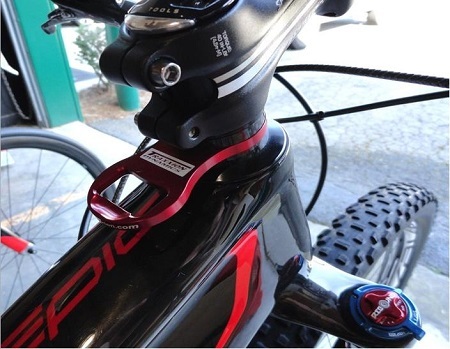 Well, you can be the FIRST to have your Coldie open with this beautiful steer tube mounted bottle opener! 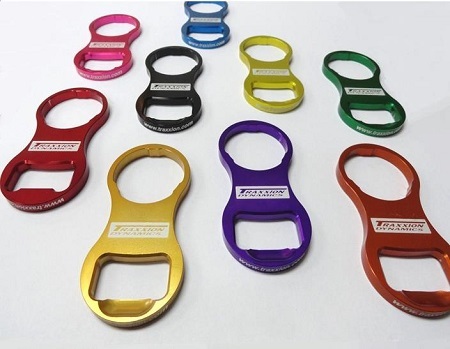 CNC machined from 6061-T6 aircraft aluminum, anodized in an array of colors, and laser etched, these bottle openers will be the talk of your local trails! Fits all 11/8″, and 11/2″ to 11/8″ tapered Steertubes. 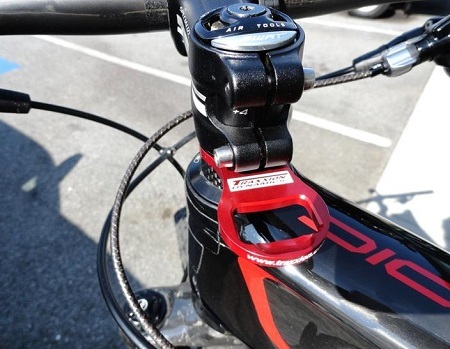 For the highly discerning Weight Weenies, don’t worry, it only weighs 14.3 grams, so only a basic weight gain of 10 grams when you take out the stock spacer… small price to pay to have quick access to your post-ride recovery drink! You can have yout own slogan laser etched for an additional fee, or you can have a batch ran with you company logo and URL. Just let us know what you are interested in and we’ll arrange a package for you.